Flying with marijuana used to earn travelers a one-way ticket to jail (do not pass “Go,” and you’ll be paying a lot more than $200). Since then, standards have relaxed considerably, particularly locally at the Los Angeles International Airport. However, it’s not necessarily the same at your destination spot, so it’s important to be informed about your rights and responsibilities. Current policy for marijuana at LAX essentially follows California state law, according to a report from Los Angeles Times. If an adult passenger has less than an ounce on hand, airport police allow them through security. This is true even if the person is headed to a location where marijuana is illegal. Transportation Security Administration agents have bigger fish to fry, so they leave dealing with issues like nominal amounts of cannabis up to local airport law enforcement, who have mostly been passive. Los Angeles Councilperson Mitch Englander would like to give more consideration to federal law by encouraging passengers to surrender their cannabis before going through security. 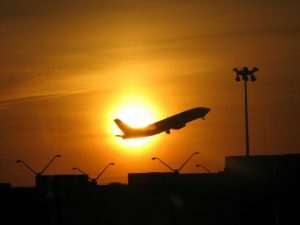 He proposes adding an “amnesty box” at the airport, where marijuana can be deposited before a flight – no questions asked, no penalties.As our Los Angeles marijuana criminal defense defense lawyers can explain, Englander’s primary concern is marijuana’s classification as a Schedule I narcotic according to the Controlled Substances Act, 21 U.S.C. Section 812. A Schedule I classification means the federal government has determined cannabis has no medical benefit, is harmful and addictive. But 29 states and a growing mountain of evidence has concluded otherwise. Those states have passed laws that oppose the federal classification by legalizing medical marijuana. Eights of those, including California, approved recreational use of marijuana. However, transportation of cannabis across state lines is still against the law – even if it’s legal in your destination state. It is also illegal to have as a carry-on or in luggage since an airplane falls under federal rule. Some airports in states where cannabis is legal have banned marijuana to remain consistent with federal law. McCarran International Airport in Las Vegas, for example, has amnesty boxes for travelers to rid themselves of their stash before boarding a flight. Police request and confiscate marijuana directly from passengers at Denver International Airport without amnesty boxes, but no one is punished for having it on the premises. It seems unnecessary, however, to take such measures when Los Angeles airport police seem disinterested in enforcing any laws beyond those in the immediate vicinity. In fact, security officials at LAX seem more concerned about larger security risks. Lockers and receptacles, similar to the amnesty boxes, were removed from the airport after the Sept. 11 attacks, as they were an easy place to potentially hide explosives. Furthermore, using our valuable security resources to monitor something that poses no immediate threat is a waste, especially when there are more serious issues they must attend to. We hope to see law enforcement continue to focus on criminals who pose a danger to society and others. For Los Angeles residents who do find themselves in trouble for a marijuana-related offense, our attorneys are on the ready to help defend you and your rights.